Not sure what’s in the job description? Not sure how to use the information? Wondering where the hidden information is? 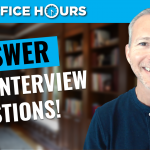 Join career expert and award-winning author Andrew LaCivita as he discusses how to use job descriptions to ace your interview! You’ll learn advanced techniques to use job descriptions to wow interviews by knowing all the key skills and traits they’re looking for in an employee. You can turn these dull “pieces of paper” into silver bullets for you! SUBSCRIBE FOR THE LIVE Q&A: Did you know you can attend these sessions LIVE for FREE? Yeah! 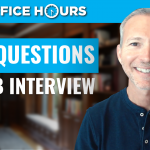 I conduct my weekly “posts” LIVE as part of my LIVE OFFICE HOURS on my YOUTUBE CHANNEL. Make sure to SUBSCRIBE to my Youtube Channel so you can get the Live Office Hours alerts. I conduct the sessions on THURSDAYS and vary the times because I have a very global community and want to provide everyone a chance to attend at a reasonable hour of THEIR DAY! You can chime in with your questions related to this topic or anything you want to discuss about your job search or career. If I don’t get to your question live, I’ll be happy to answer it in the comments section when the live airing is complete! Want the most advanced and effective job searching program created? Check out my Job Search Boot Camp to find your dream job fast! Learn more and ENROLL HERE. I believe in being there for you wherever you are! Andrew LaCivita is an internationally recognized executive recruiter, award-winning author, trainer, and founder and chief executive officer of milewalk and the milewalk Academy. He’s dedicated his career to helping people and companies realize their potential, consulting to more than two hundred organizations and counseling more than eleven thousand individuals. He often serves as a trusted media resource and is the award-winning author of Interview Intervention, Out of Reach but in Sight, and The Hiring Prophecies. I'll send you a FREE Job Search Guide. Get your FREE Interview Intervention hardcover, eBook, & audio book, read by more than 100,000 people looking to improve their careers! (With bonuses, an $83 Value!) GET THE BOOK! 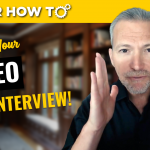 Enroll in my FREE Video Series and learn the 3 most important activities to get right in your job search. 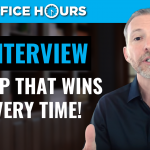 After completing this series, you'll know THE number one factor to find the right job, how to find it quickly, and how to win the job interview to get hired. Start now! REGISTER NOW! Enjoy my Today's Lines To Live By? Follow me on Facebook where I post them daily! Follow Me! I am an award-winning, internationally-recognized Executive Recruiter and Founder and CEO of milewalk, a prominent Chicago-based executive search firm. I have dedicated my career to helping people and companies realize their potential, consulting to more than two hundred organizations and counseling more than eleven thousand individuals. In addition to serving as a trusted media resource, I blog, speak, coach, and have authored three books including Interview Intervention, Out of Reach but in Sight, and The Hiring Prophecies. For a more complete biography, click here.